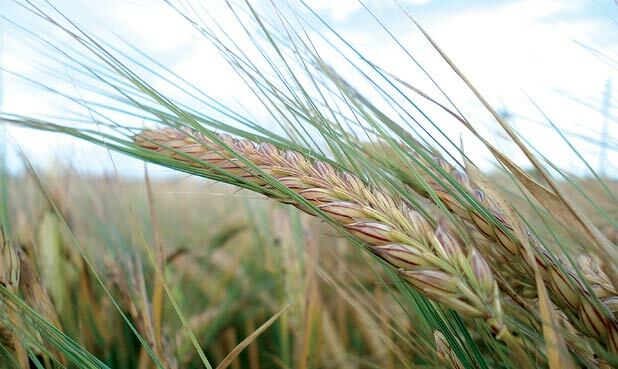 Barley growing in a field in Scotland. I just visited Scotland and thought it was a beautiful country. There was lots of lush farmland and clean water. I was glad to hear that they recently banned genetically modified crops, but some people weren’t. Read this link for a sampling of that. When it comes to genetically modified crops, they are fully understood by most and misrepresented by a few and I think misrepresentation comes from both sides of the debate, which is part of the problem for people trying to find facts. So, who is doing the misrepresenting? That’s the million-dollar question, which I confess, I do not have the definitive answer to. I do have some pretty strong suspicions, though. First of all, let’s take a look at what genetically modified crops means. It can be anything from creating a hybrid variety of cherry known as the Bing cherry to creating a seed that is patented and must be used only a with a patented chemical herbicide. Bing cherries are named after the Chinese cherry farmer in Oregon who worked on the creation of the hybrid tree. (Look it up). They’re pretty innocuous, as long as you wash any chemical residue off them. The main problem that I have with GM crops is that they create a reliance on mechanization, chemicals and favour agribusiness over agriculture. (To solve hunger, I think we need more of the latter, BTW.) A GM crop designed to withstand glyphosates found in herbicides such as Roundup is not a food that I feel comfortable eating. Why? Because I don’t trust Monsanto, the makers of Agent Orange, DDT, and PCBs. They said they were safe. They said they were tested, and eventually they were proven to be liars by real science, not the kind of science that is funded by a big company so they can market a product and claim it’s safe. There are two types of “science” and until I see a report from impartial, independent scientists that says GM crops, and all that they entail, are safe, I remain skeptical. I don’t like when anybody misrepresents the facts to try to get me to think a certain way. This article examines the struggle that is going on to separate the wheat from the chaff. It’s not fear-mongering, but it also explains why the IARC cannot accept industry submitted studies in its review. It’s like believing the fox when he tells you he’s perfectly safe around your hens and that you should just let him into the yard. This entry was posted in Freelancing and tagged farming, genetically modified crops, GM crops, GMOs, Monsanto, Scotland.